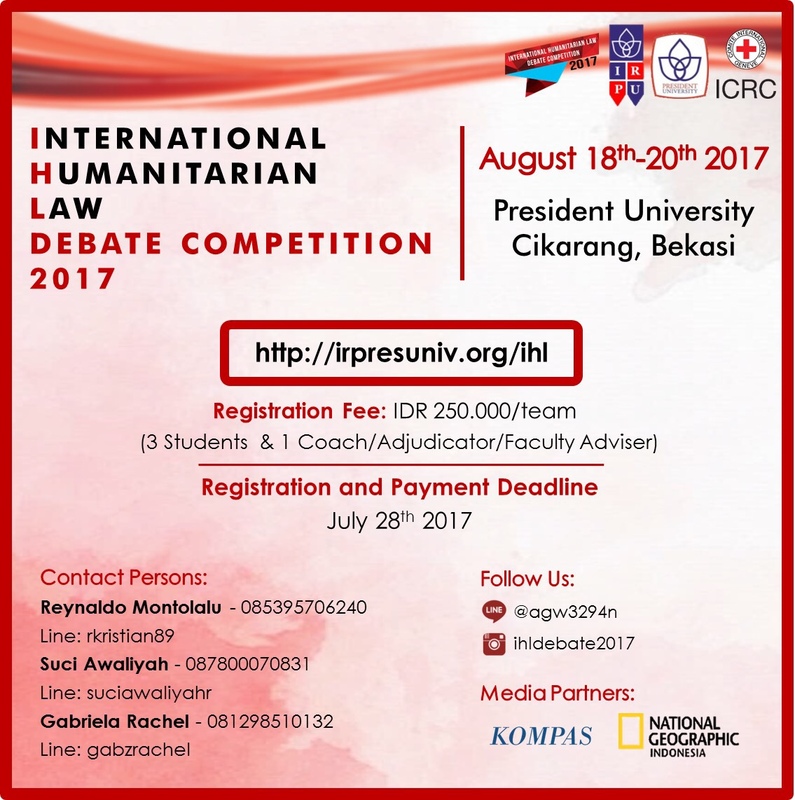 The most awaited debate competition, International Humanitarian Law (IHL) Debate Competition's registration is now open! 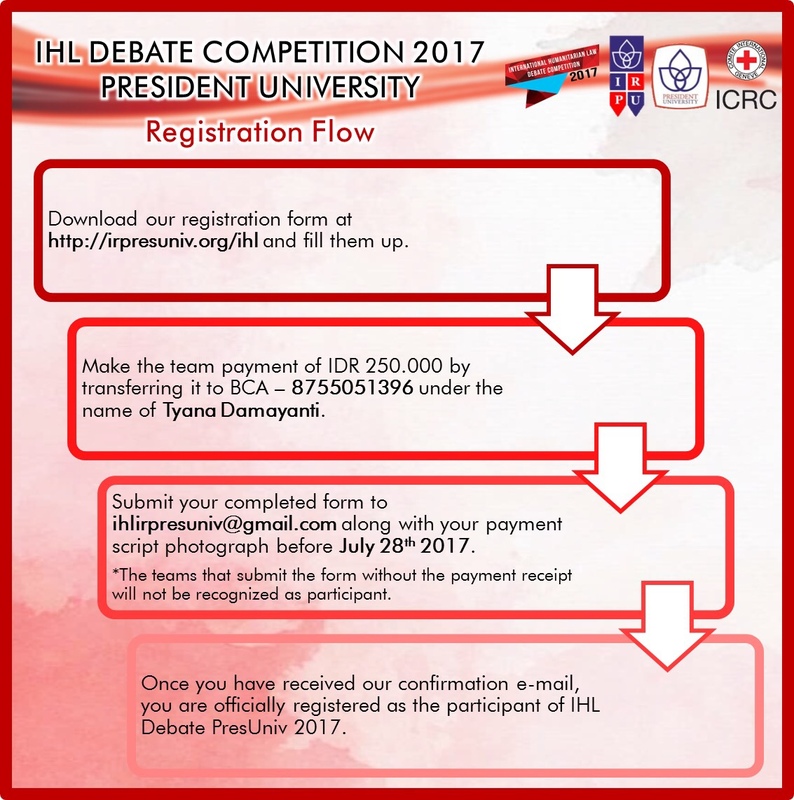 The competition will be held at President University. Due to several considerations, the date of the competition is POSTPONED and will be held on 18th-20th August 2017.